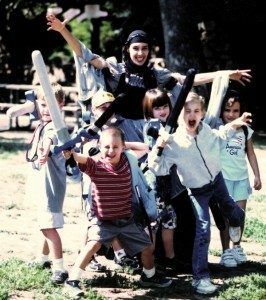 From school holidays to weekend programs to after-school enrichment classes, Renaissance Adventures is planning and plotting another amazing adventure during the school year! Chances are, if you have a winter break, spring break, or other holiday, we’ll be running a quest. See our program calendar for specific dates of upcoming programs, and sign up for our newsletter to get seasonal emails announcing news and upcoming events. 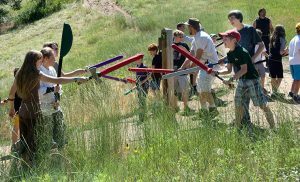 For more than 20 years, we have offered after-school activities Adventure Quest and Quest & Quill in Boulder, CO. We often offer one “Quest” for 4-8 continuous weeks, with each week a chapter in the story that the Questers help to create. Educators have given great testimonials about our school programs, which have a wide variety of experiential education benefits. See Afterschool Programs for more information about our current programs, and to bring our programs to your school. Hark ye! 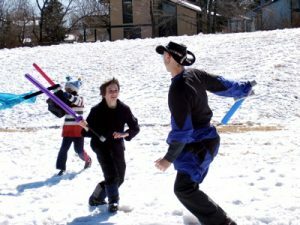 Thanksgiving Break, Winter Break, and Spring Break Quests are very popular and sometimes fill up quickly, so register early. Check our program calendar for upcoming dates or sign up for our newsletter to receive our seasonal emails announcing upcoming programs. We run birthday parties and events all year round, at a location of your choosing. We can also create a custom Home Quest where we run any of our program types and come to your location at a discounted rate. 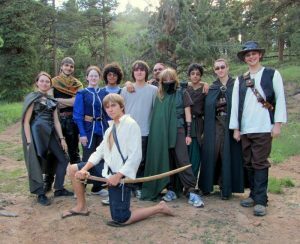 Teen-only programs that run throughout the year include Heroes Academy, Friday Game Night, and sporadic Workshops & Specialty programs. See our program calendar for more details about upcoming programs near you. 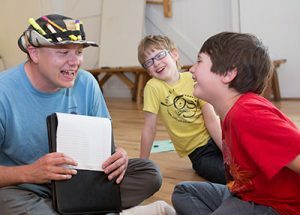 You may also sign up for our newsletter to get our seasonal emails announcing upcoming programs.